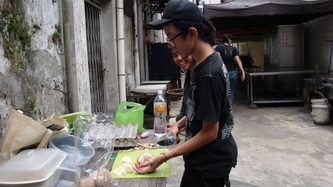 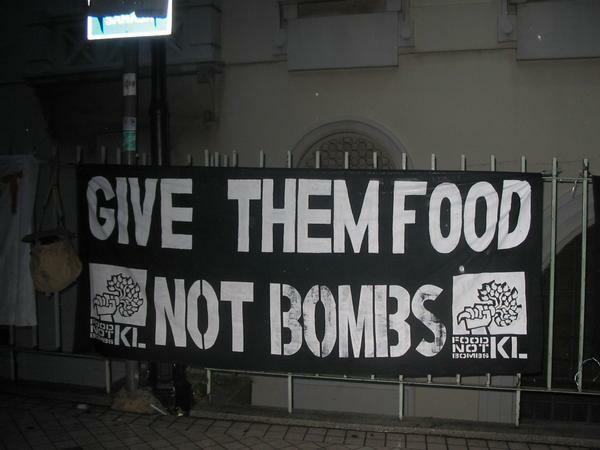 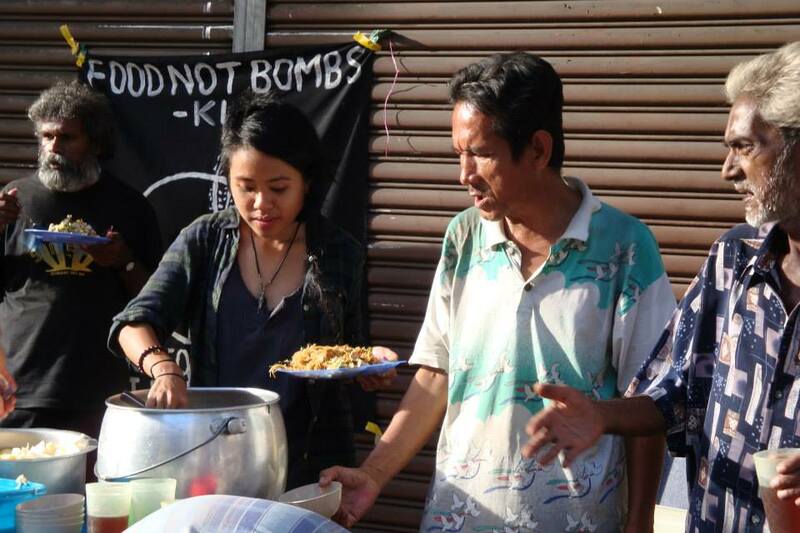 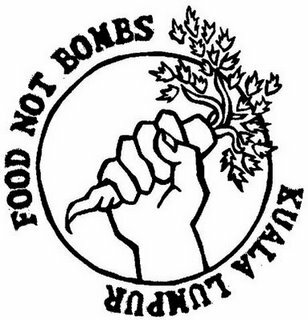 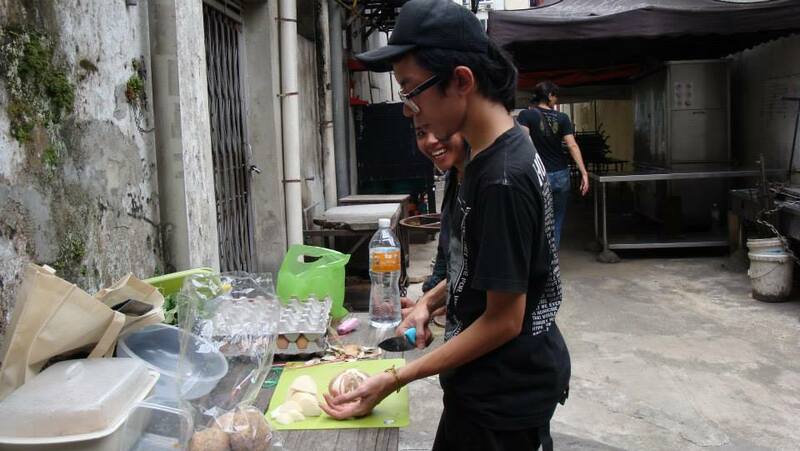 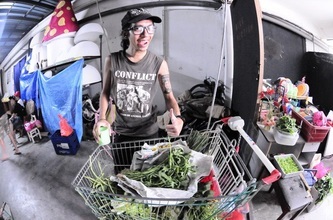 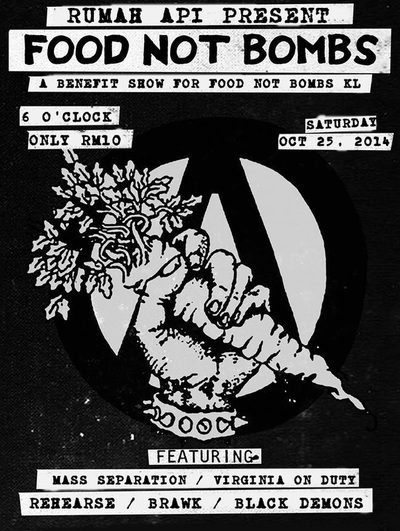 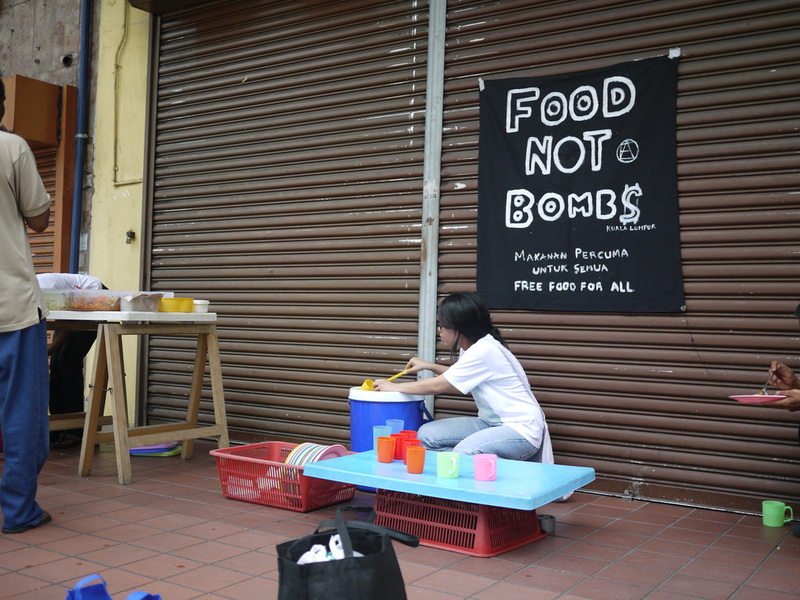 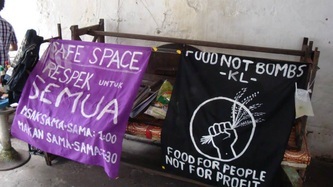 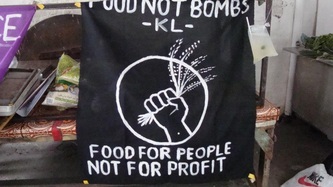 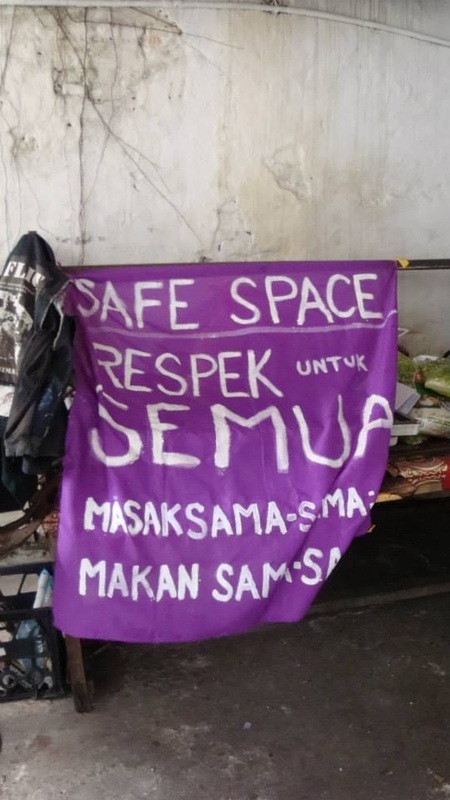 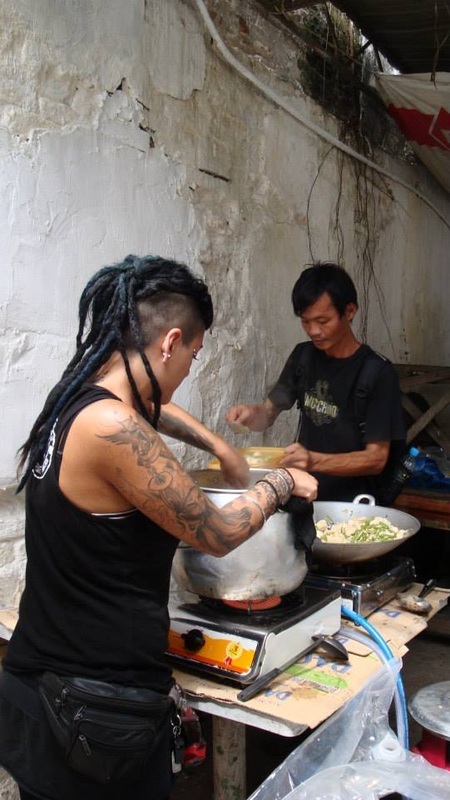 Food Not Bombs Kuala Lumpur (FNBKL) is an independent, do-it-yourself, non-hierarchical collective consisting of a number of individuals who organize and participate in the collection, preparation and distribution of free food for the city's homeless & destitute. 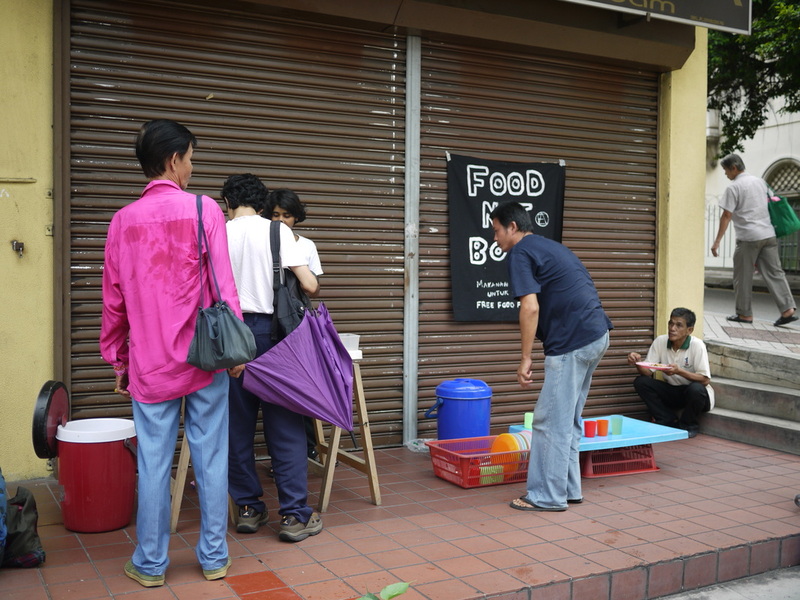 We believe that hunger and poverty are not necessary, especially in a society which disposes of so much perfectly edible and safe foodstuff out of commercial interest. We save and recycle "commercially-unwanted" foodstuff by gathering it from commercial outlets around town. 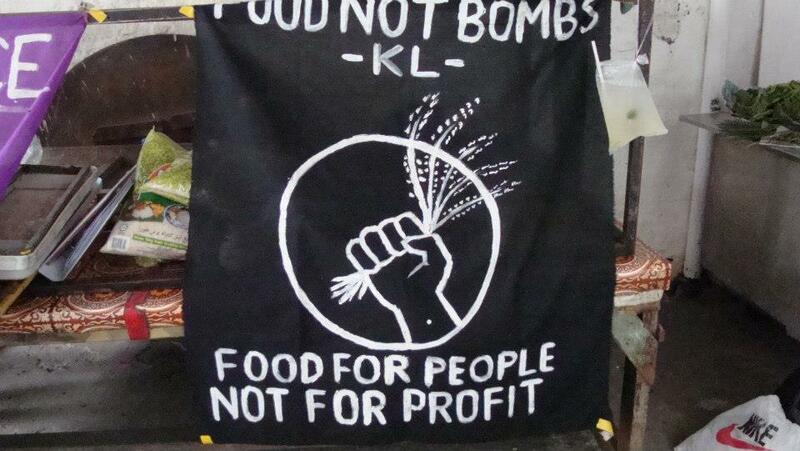 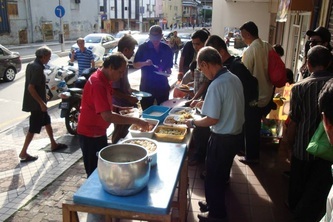 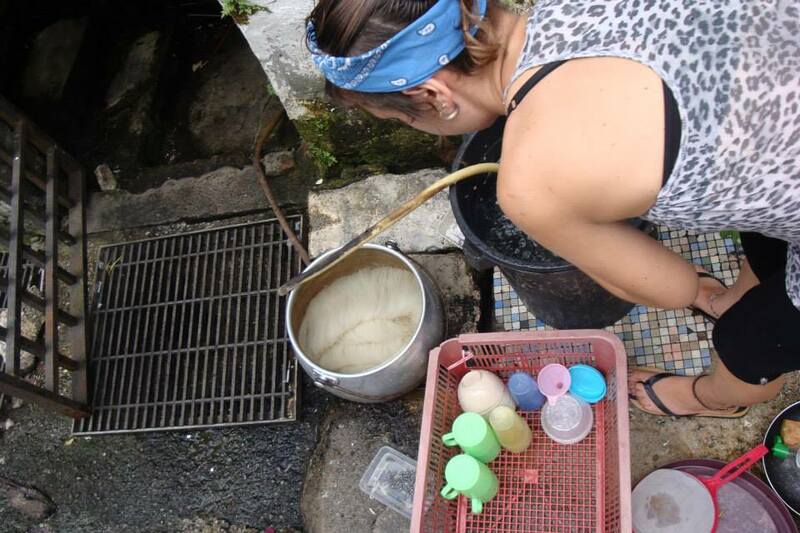 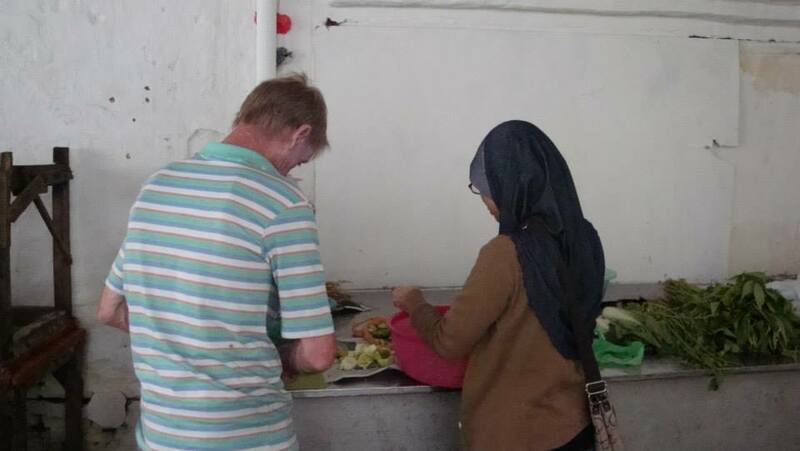 We will then cook and serve free meals on the streets of KL every weekend. 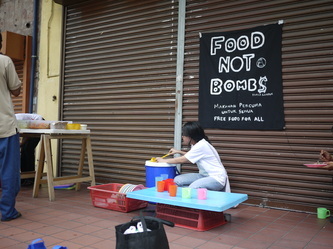 We do this as a form of protest and also in order to raise awareness to the problems of wastage and unfair food distribution in our society. 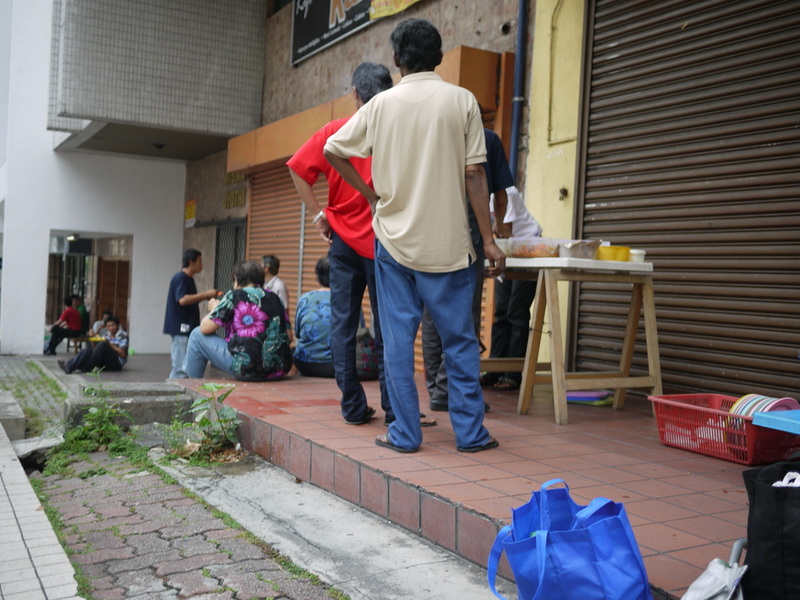 We also aim to empower the urban homeless & destitute community with solidarity, knowledge and basic living skills. 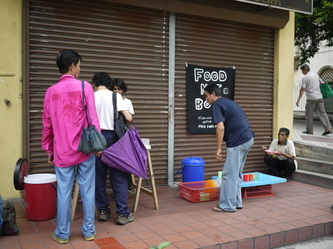 Help is always needed from you. 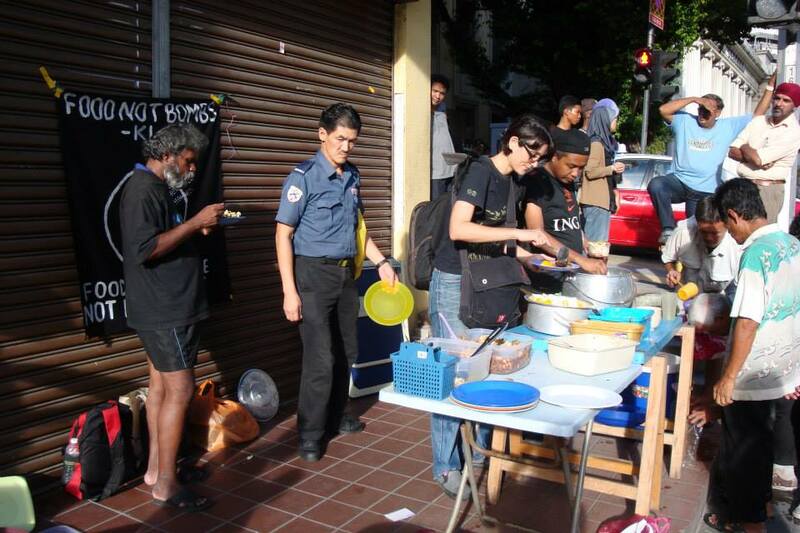 We are in constant need of your solidarity, donations and manpower to keep this activity consistent and effective. We are thankful for anything which you can help us with, and appreciate your efforts in providing our fellow human beings struggling on the streets with their basic needs which the society at large took for granted. 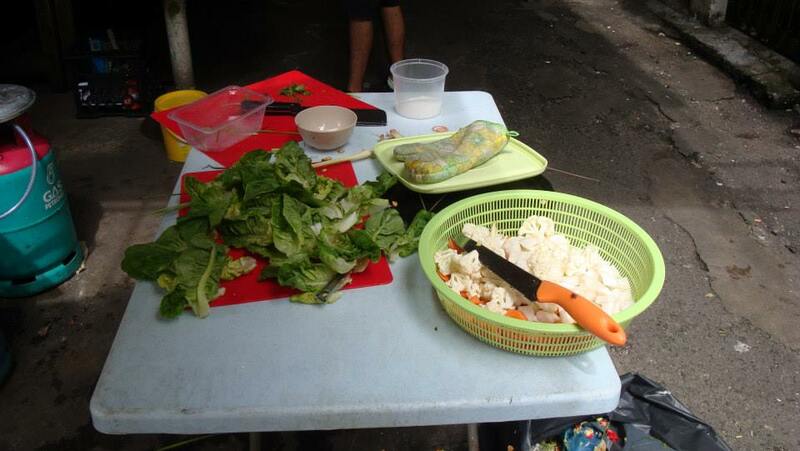 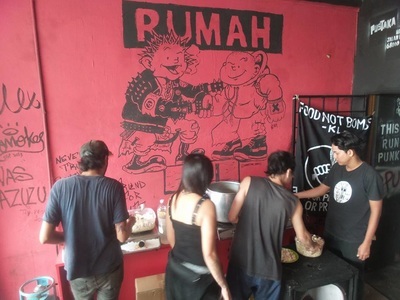 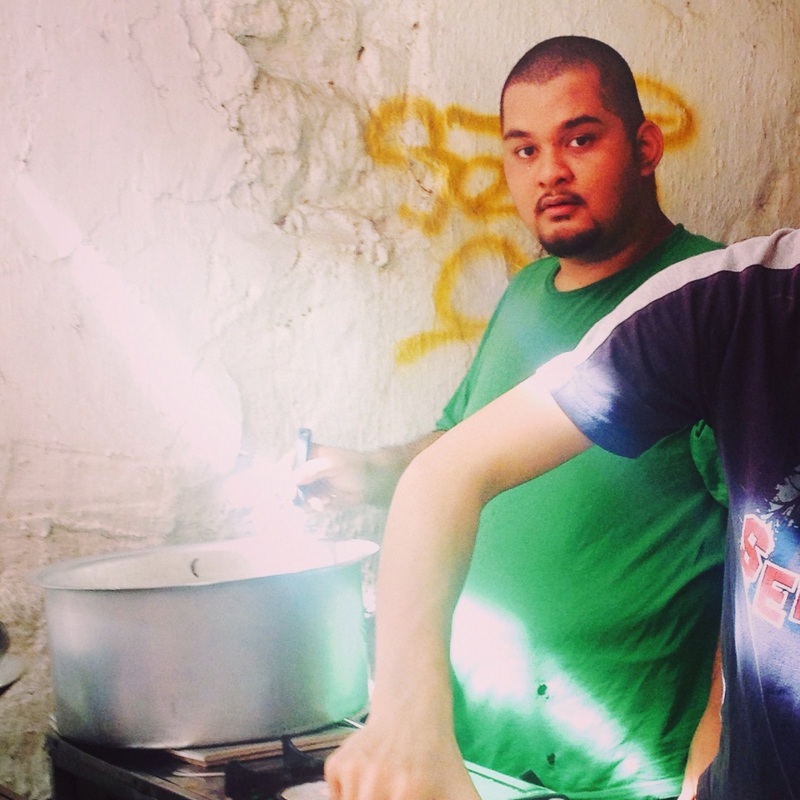 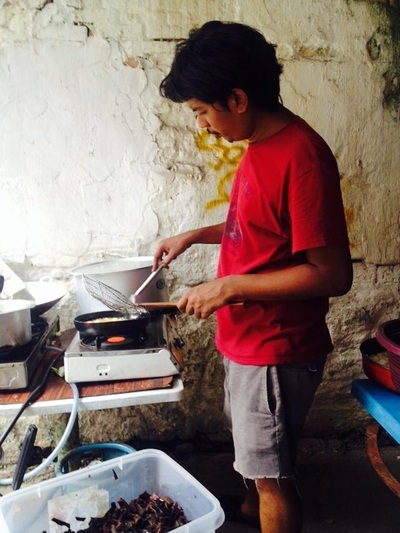 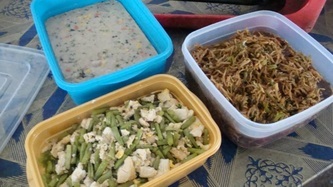 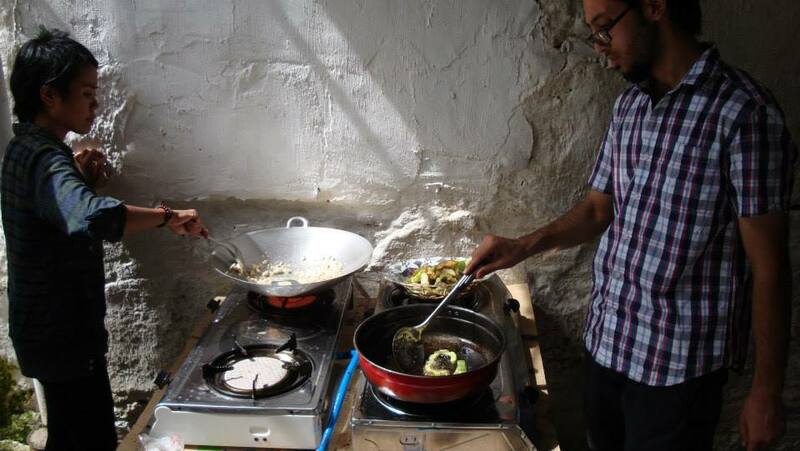 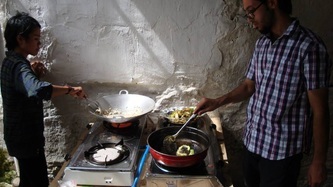 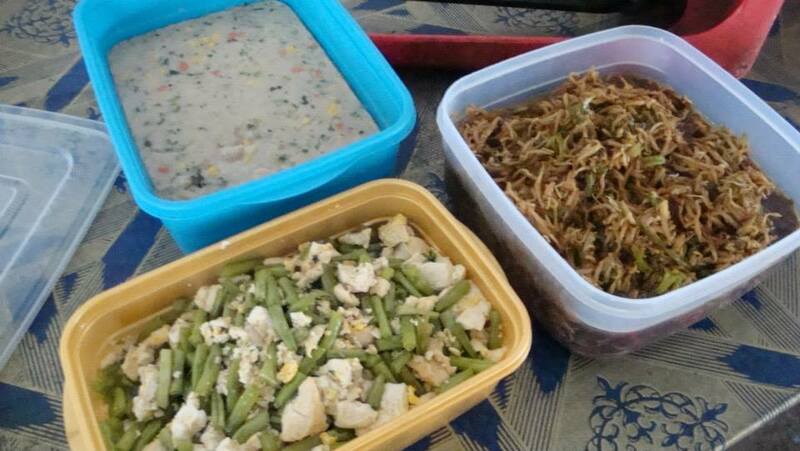 *No longer cooking for Food Not Bomb (FNB) at Rumah Api because FNB now has its own kitchen near FNB serving. 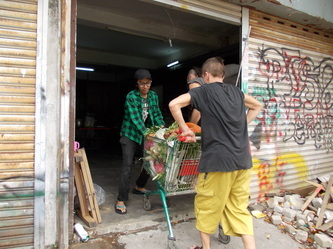 But we are still getting vegetables and raw food for free in Chinese morning market near Rumah Api for cooking ingredients for FNB every Sunday.